April 1, 2019 -- Don’t Put the Cart Before the Horse. This is an age-old proverb handed down through generations. But how does this phrase relate to your Grange, and its communications? 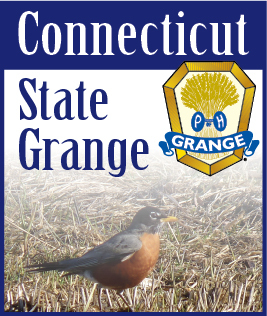 MARCH 5, 2019 -- The CT State Grange, and in particular the Public Relations Committee, offers a number of resources to Granges and their members. What does Public Relations have to do with my Grange? Public relations is vital to the success of the Granges across Connecticut. Communication is essential to Grange success, both internally and externally. The more visibility the Grange has, the more positive community support it will attract, the more pride the membership will have in the organization, and ultimately the more members it will gain. It’s a simple formula. Favorable media exposure means recognition in the community, acknowledgement of Grange activities, services and accomplishments and a higher profile of your Grange among potential members. Internally, it will help build pride in membership that will grow a more successful Grange. From building awareness and credibility to supporting fund-raising efforts, well-executed public relations efforts can make the difference between achieving the Grange’s goals or falling desperately short of them. Learn the tips, tricks and how-to's to get your Grange and it's events, projects and activities the attention they deserve. Click through to learn how to maximize your publicity effectiveness. The Mission of the Connecticut State Grange Public Relations Committee is: to promote the Grange as an identifiable service-oriented organization, staying true to its agricultural and historical roots while increasing relevancy in today’s communities; to serve the Connecticut State Grange as its informational conduit to Subordinate (local) Granges and to the public on general or specific items which are of informational or promotional topics; to work in connection with the Membership Committee to promote and advertise the benefits of The Grange; to assist other Connecticut State Grange committees with their specific promotions; to promote contests and events which encourage participation of Grange members; and to create new and unique ways of promoting the Grange in the communities across Connecticut. Public Relations News: We Know Where Granges Are! Public Relations News: Did You Know? Public Relations: How do you pitch your Grange? Don't put the cart before the horse! How do we tell people about the Grange? How Do You Publicize Your Grange? It's never too early to be thinking about Publicizing your Grange and it's activities. Contact the Public Relations Committee for assistance with your PR and Publicity needs. Followed by Lunch and more!